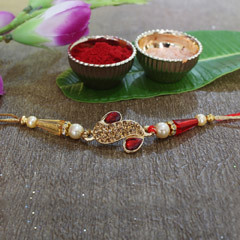 Send Rakhi to Johannesburg from anywhere across the globe and give a sweet surprise to your brothers. You can now send your Rakhi gifts directly at the address of your siblings and we would make sure that you receive the fastest online delivery. Make your pick from the collection of our online shop and get offers on the payment structure.